Taper off for peak performance. After all the time in at the pool, you deserve a taper before your big meet. Training is grueling, both physically and mentally, and a well-designed taper can ensure you show up to the pool in your best race form. This doesn’t mean you get to take it easy; you still need to maintain a high intensity, but with less volume to reap all the benefits of a taper. Systematically reducing your training volume prior to a big competition helps ensure you optimize your race-day performance. 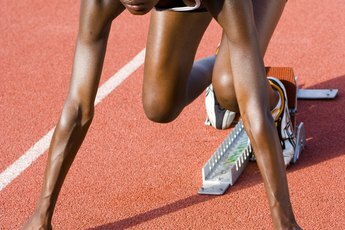 After weeks or months of intense training, tapering helps your body repair itself. During your taper, your iron and red blood cell levels restore themselves to normal levels and your muscular power improves. You can experience as much as a 3-percent improvement in performance if you reduce your training volume by 60 to 90 percent, according to the journal, "Sports Medicine." It's a good idea to seek guidance from your coach for the best results. While you should reduce the volume of your training, it doesn’t mean you get to slack off in the pool. A study published in the “International Journal of Sports Medicine” followed seven female collegiate swimmers for two years to determine which taper -- high-intensity or low-intensity -- produced the best results. It was determined that low-intensity training during a taper reduces peak swimming levels sooner than high-intensity training. 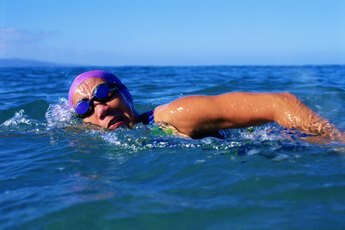 Don't lose power, speed and endurance, though -- swim your taper at 70 percent of your normal intensity to maintain your edge. The length of your taper is an entirely up to you. Bigger events typically get a longer taper than smaller meets. During a taper program that lasted five to 21 days, swimmers rarely experience any detrimental effect to their VO2 max, or your maximum aerobic capacity. A study published in the journal of “Medicine and Science in Sports and Exercise” in 2001 showed that a 21-day taper for highly trained swimmers actually improved their swim times by 4 percent. This was because fast twitch muscles, the ones used in sprinting, increased in size, strength and power following the taper. If you are currently swimming 9,000 meters a day, then progressively cut down your distance to 3,000 meters during the course of a 14-day taper. This reduction of just more than 67 percent has shown to increase power and improve competition times. Just make sure to maintain your intensity and only reduce your frequency by 20 percent. What Is the Importance of the Anaerobic Threshold to a Marathon Runner? Can You Do Triathlons During Ironman Training?